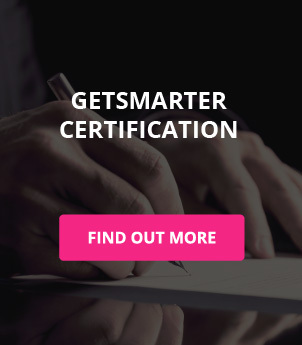 GetSmarter gives you the recognition you deserve; not only in the form of a certificate from a top-tier university, but also by empowering you with the skills, knowledge and confidence you need to take on the next challenge in your career. You can look forward to an digital education experience that mirrors academic excellence available to on-campus students at the world’s leading universities, tailored specifically for the adult working learner. 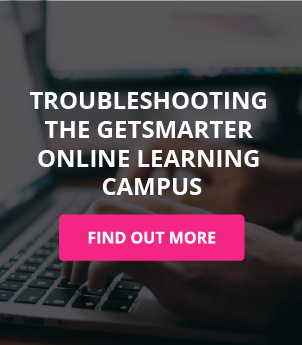 Below are the most common questions asked before starting a course at GetSmarter, a wholly-owned subsidiary of 2U, Inc.
How do I register for a GetSmarter online short course? GetSmarter students are able to complete their registration directly from the course page. You can access the GetSmarter online short course portfolio on the homepage and gain detailed insight into the specific course you wish to register for. Once you have your information, you’ll be able to complete your registration online directly through the course page. What information does a GetSmarter course page provide? You can enter your details to download a PDF course prospectus and receive related course updates. In collaboration with the world’s top-tier universities, GetSmarter designs online short courses around the insights of experienced faculty members and authoritative industry experts. The course page introduces you to specialists you can expect to learn from via online video lectures; accessible to you anywhere, at anytime. The course page gives you access to a Readiness Test that will help you assess your preparedness for a course by asking you a few quick questions relating to time management, technological requirements, your expectations, and the subject matter level. 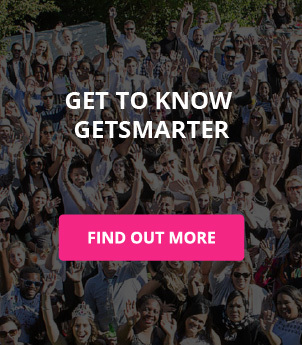 What are the technical requirements to take a GetSmarter online short course?